Why It’is special than other archiving tools? 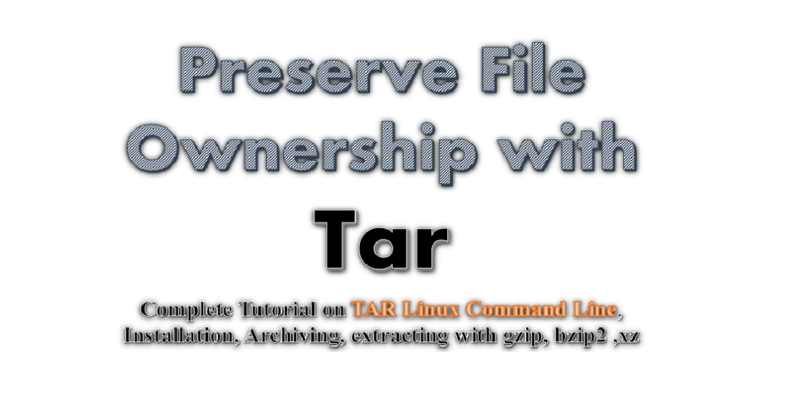 Tar is a common command line tool for archiving files and directories. It’s famous for the capacity of preserving file permission and ownership. Unlike other archiving tools, say zip or gzip, tar itself doesn’t compress files during archive creation. But in conjugation with those tools it create compressed archive with file ownership and permission intact. So this tool fulfill both the purpose with a single command, that’s great about it. Why This tool is necessary? Archiving is necessary to transfer large number of files. It take hours to transfer a wordpress installation over ssh without archiving. With archiving it’s matter of a few minutes. Saving permission and ownership is specially useful while transferring an installation between similar system. This is usually pre-installed with most of the common Linux distribution. Write “which tar” or just “tar” in command line to check it’s installed or not. Output like “/bin/tar” or the one shown in following figure confirms the tool is installed, no further steps require in that case. Otherwise install it as follows. It’s present in “Base” repository. Use yum to install. In special circumstance or if you want to make your hand dirty follow this section to install the software from source code. Install developer tools, then download source package of your preferred version from GNU and compile as follows. 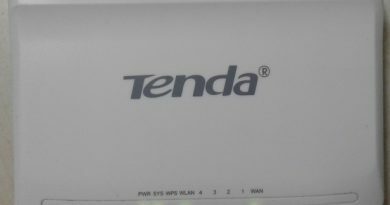 To install developer package use the following in CentOS or RHEL system. Compilation is sometime a tedious job & this is not the preferred of installation in most of the case. If compilation fails at any step please diagnose, rectify the error and try again. Following is the common pattern of archiving file or directory. 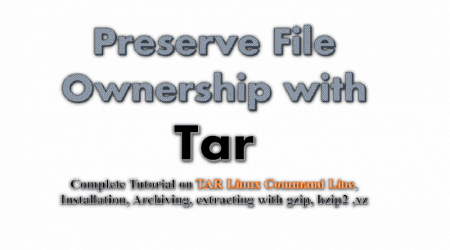 Tar always preserve file and directory permissions while archiving but not ownership. flages: c,v,f,z etc. Archiving and compression nature depends on them, explained latter. archive-file-name: Name of the archive about to be created with extension. source-file-or-folder: The file or folder to be archived. Following will create an archive serverlog.tar from a folder Serverlog located in current directory without any compression. Archiving without compression is extremely fast and useful while compressing lots of very small file, where time is the bottleneck. Use -cvzf or -cvjf to compress with gzip or bzip2 respectively. .tgz and .tar.bz2 is for gzip and bzip2 compression. Extension .tgz is synonymous with tar.gz although extension less important here. There was no flag to combine “xz” with tar. Traditional way was piping archive output to “xz” as follows to obtain xz compressed tar-archive. However modern tar can combine with “xz” using -J flga. Note: Capital J is for xz and small j is for bzip2. 9e is the highest level of compression with xz. For more on tar-xz combination refer here. z, j, J: For extracting gzip, bgz or xz file. To extract an archive to another directory explicitly mention the destination directory following the archive name. Considering both archive and destination is out of current directory use the following. An additional flag p can preserve ownership while archiving with any compression or no compression. But remember, Linux kernel allow superusers to change ownership (Learn More). So, you’ve to“root” or superuser (users with “sudo” privilege) to use this. We’ve covered installing tar in CentOS and Ubuntu like system using “yum”, “atp-get” & from source code otherwise. c,x,v,z,j,J,f flags represent create, extract, verbose, gzip, bzip2, xz, use archive respectively. Flag p & –same-owner is to preserve ownership during archiving and extraction respectively. For any ambiguity and suggestion please leave your comment bellow.